FIRST. Erin Balser of CBC Books was on the radio this weekend with a list of ten recommended hockey books that mixes the unlikely and worth-investigating (Cara Hedley’s 2004 novel Twenty Miles) with a solid core of classics (Quarrington’s King Leary, Richard Wagamese’s Indian Horse) and at least one dud (Al Strachan’s 99). SECOND. The Ottawa Citizen saw fit to publish a sort-of review of Stephen J. Harper’s A Great Game last week, just five-and-a-half months after its November publication. The reviewer was William Watson, who teaches economics at McGill University in Montreal, and he had a reason, at least, for waiting so long: though his son gave him the PM’s book for Christmas, it took him a while to get around to reading it. True? Was not-greatness generally indicated? I think we owe it to the book’s author to test that statement against the record. Mr. Harper has given us a remarkably meticulous academic account of events that, when considered after reading and distilling them, are objectively fascinating. I suspect that’s what he set out to do, and it would be churlish to begrudge him the accomplishment or to pretend I expected a thrill-a-minute page-turner. The book is no mere collection of thoughtful essays or policy recommendations, as one might expect from a sitting politician. Rather, it is a 320-page scholarly history of an obscure period in Toronto hockey more than a century ago, with footnotes and bibliography. It is as if President Obama published a densely researched study of early basketball in Chicago. 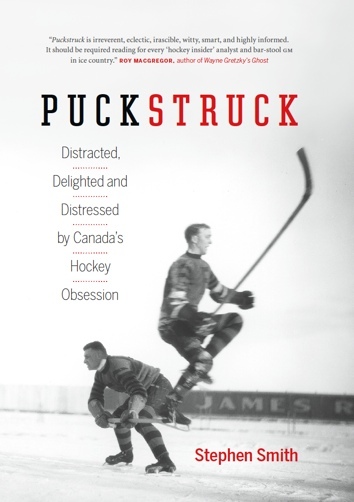 Harper has written a finely detailed history of the struggle between professionalism and amateurism in early 20th-century Ontario hockey. In A Great Game, Harper had the assistance of a full-time researcher and the editing help of the distinguished Canadian sportswriter Roy MacGregor, but the work is his. It includes insightful examinations of class and religion and the roles they played in a country that still saw itself as a pillar of the British Empire, all viewed through the prism of hockey at the dawn of the pro era. Alberta-Tory knowingness about 1906 Toronto’s problems with sloppy natural ice: “Some in Toronto, even then, were suggesting the climate was warming, thus necessitating an artificial-ice rink.” A cheap shot, but a good one. All in all, I guess not great is fair enough. Fairer to say would be that the reviews were mixed — or maybe a coalition of grudgingly good-ish and tepid? Assuming they’re all in, of course. It may be worth checking in again in another five-and-a-half months. THIRD. Since we’re picking nits, The Globe and Mail’s Eric Reguly profiled Mark Cutifani in Saturday’s paper, the CEO of mining giant Anglo American. Given the set-up of the following bit of biography, not to mention the fame of the [hockey team] in question, do we really need the parenthetical clarifier?